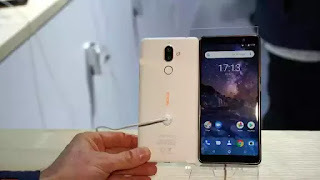 The new Nokia 7 Plus was launched alongside the budget Nokia Android phones Nokia 1, Nokia 6 (2018), feature phone Nokia 8110 4G and flagship Nokia 8 Sirocco at MWC 2018. Recently, Amazon UK has listed the Nokia 1 for pre-orders on its store. 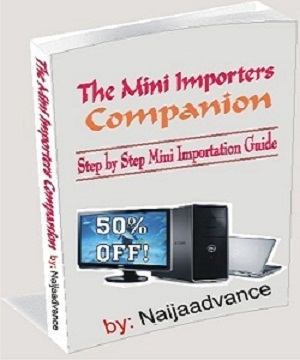 In fact, most markets across the globe are still waiting for all these devices. 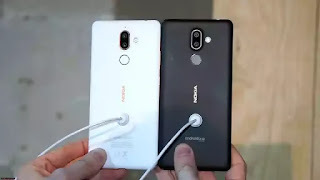 However, the wait for the Nokia 7 Plus might just end soon as the device is now up for pre-orders and its release date and price have been revealed in the UK by Amazon. AmazonUK retailer has listed HMD Global’s Nokia-branded Android phone – Nokia 7 Plus on its website for pre-orders. The device is going to be available on April 30, 2018, at a price of £349.99. Earlier this week, Amazon also listed the Nokia 1 Android Go edition device for pre-orders with a price tag of £79.99 and it will also be available on April 30. To recall, Nokia 7 Plus features a 6-inch display with Full HD+ resolution, 18:9 aspect ratio, 500-nits peak brightness rating, and Corning Gorilla Glass. All these integrated into a unibody metal design and curved back. It packs 4GB of LPDDR4 RAM and 64GB of inbuilt storage, expandable via microSD card up to 256GB. It is powered by the Qualcomm Snapdragon 660 Mobile Platform, along with you can broadcast live #Boothie on Facebook or YouTube. Just think that the 3800mAh battery allows to reach up to 2 days of continuous use. It runs Android Oreo OS and comes with a rear fingerprint sensor. Nokia 7 Plus has its strong point in the camera department, thanks to the combination of optical hardware and innovative imaging algorithms that allows taking “true to life” photographs. It has a dual rear camera comprises a 12MP wide-angle primary camera with a f/1.75 aperture, and 1.4-micron pixels, as well as a 13MP camera with a f/2.6 aperture, 1-micron pixels, and 2x optical zoom. The duo is coupled with a dual-tone LED flash and Zeiss optics. As for the front camera, the Nokia 7 Plus features a 16-megapixel fixed focus offering with a f/2.0 aperture, 1-micron pixels, and Zeiss optics.